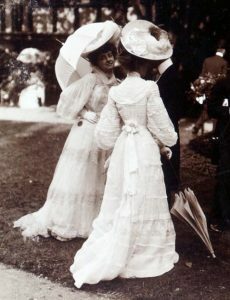 I am off to the Steampunk World’s Fair in New Jersey this weekend! This will be my first steampunk event as a returning guest. I am very honored and quite looking forward to it. It’s so so nice to go off to an event with a good idea of what to expect. I am a creature of habit (I attended my local con as a faithful fan girl for 15 years) so you can imagine how appealing this is. Familiar faces! Old friends and new acquaintances. I might just have some super fun swag to give away if you run into me at the convention, just ask! 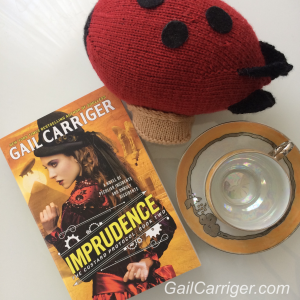 I’ve a Goodreads giveaway for Imprudence going on right now. You can enter if you’d like. 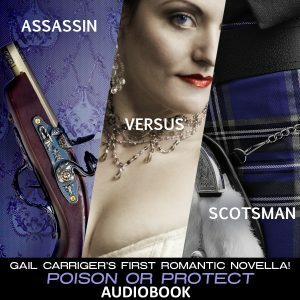 Poison or Protect audiobook. Can one gentle Highland soldier woo Victorian London’s most scandalous lady assassin, or will they both be destroyed in the attempt? 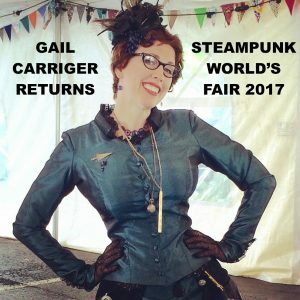 Questions about Gail’s steampunk world? 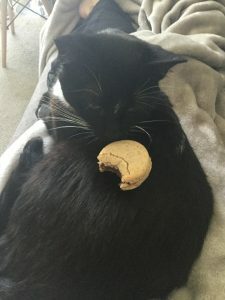 There’s a wiki for that!